Do you love socks? Love Knits? Then you'll be in heaven with Oriana's new releases! 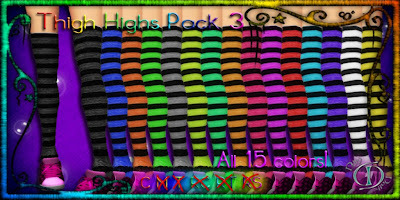 There are numerous socks you can buy in any length and they are all color change. From Ankle Socks to 3 new thigh high packs. There's a different design to fit anyone! But not only socks there's two new sweaters and a great pair of jeans. 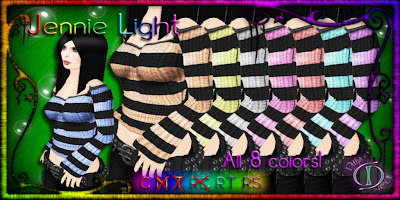 So buy them all mix and match! You'll look great in these clothes! Skins Return! New Dresses and Hair Too!